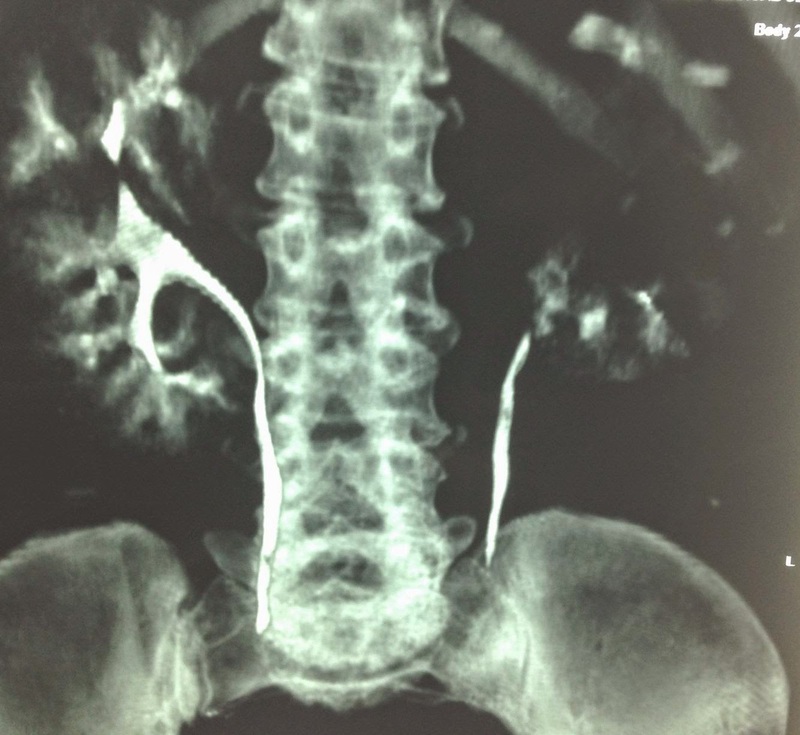 Woman 58yo diabetes for 10 years, fever and epigastric pain radiating to left flanc. 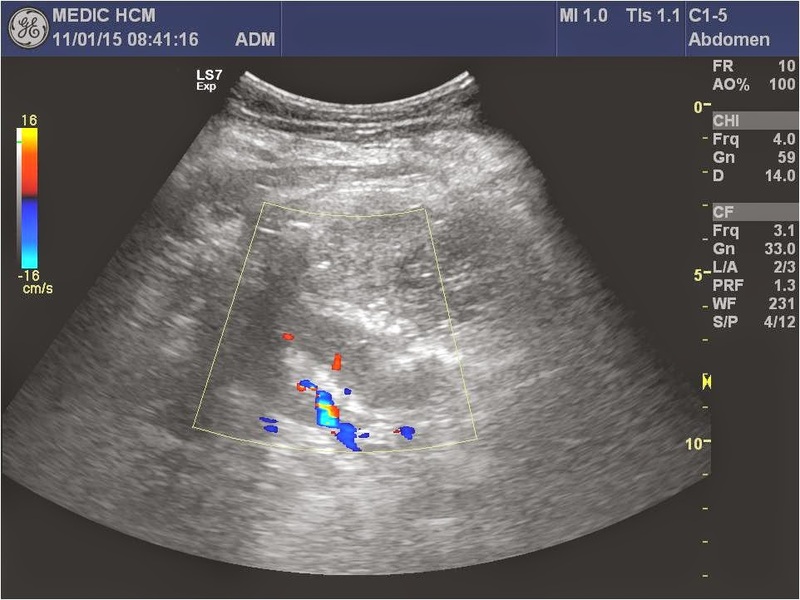 Ultrasound of abdomen first detected one mass with air inside nearby left kidney which made bright line artifacts (see video clip), so that was thought to be a renal abscess. 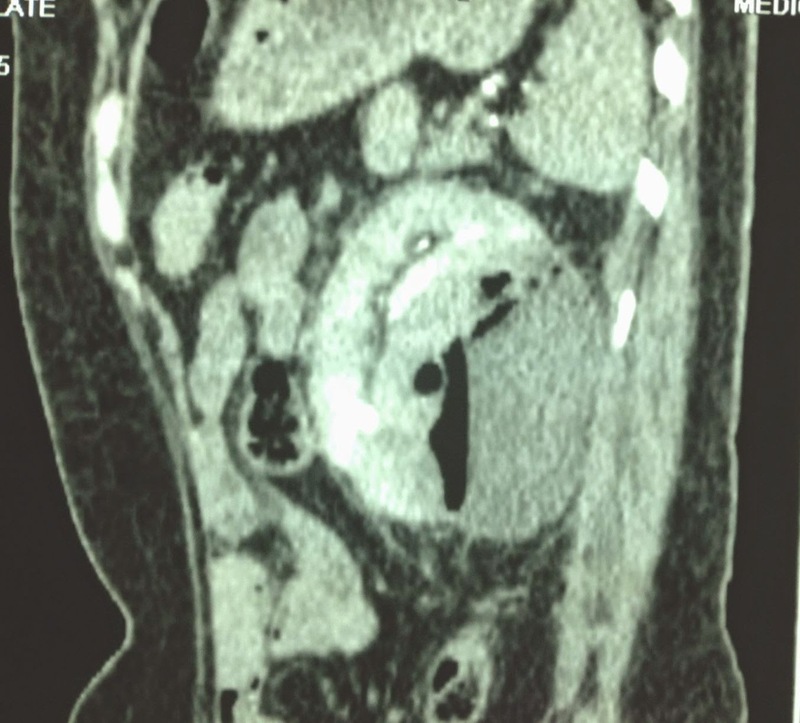 MSCT with CE detected the abscess with air inside destroying lower pole of left kidney. 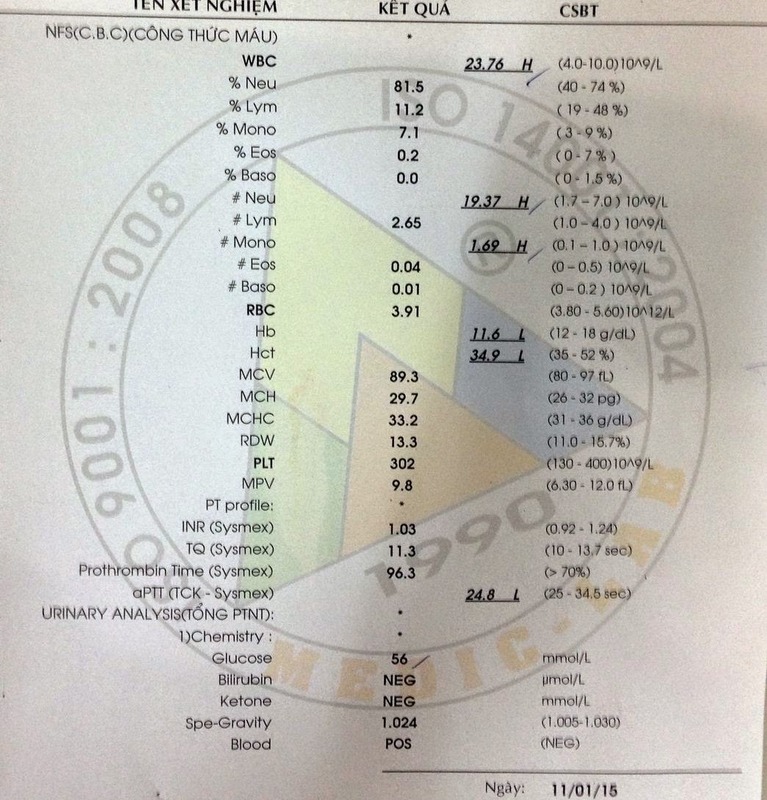 Blood test with WBC rising very high= 23,760 /mm3 with neutrophil 81.5% and glucose urine=56mmol/L. 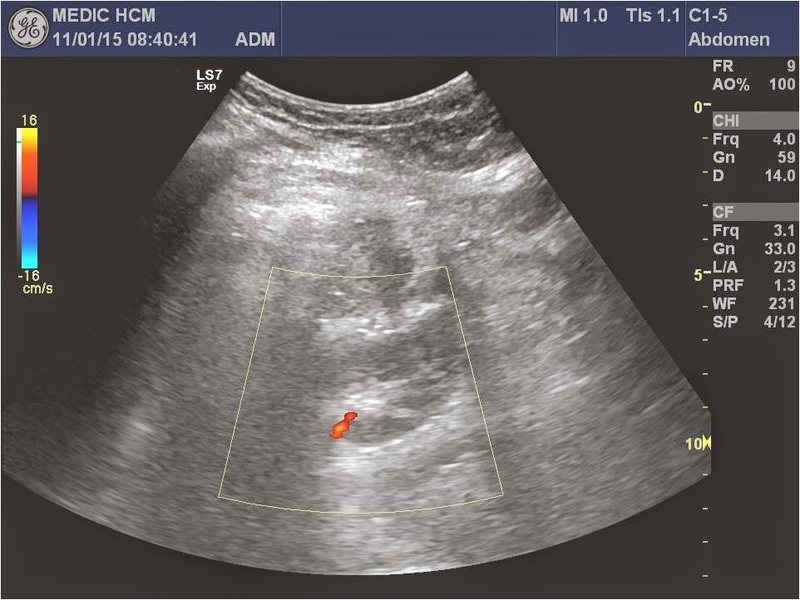 Ultrasound guided punction of renal abscess removed white pus. Bacteriology analysis result was gram negative bacilli. 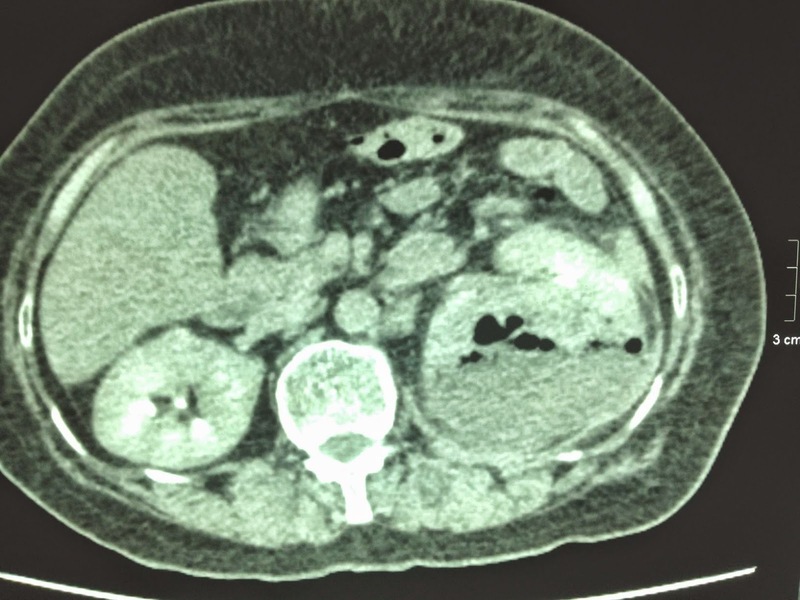 Treatment:antibiotic per IV and surgical drainage of renal abscess and controlling blood sugar by insulin. 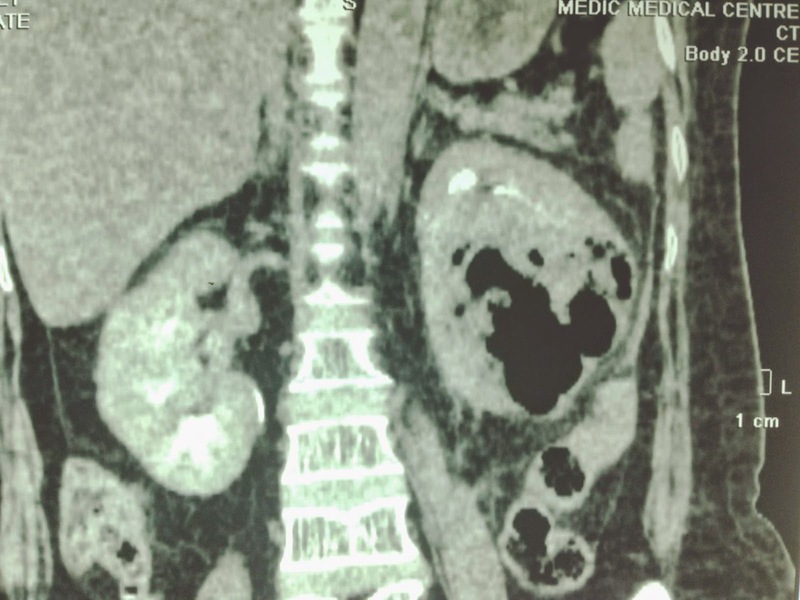 Summary: Kidney abscess of diabetic patient was detected by ultrasound in recognizing gas inside abscess.